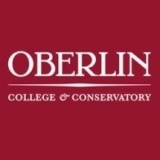 My child has been accepted to both Lawrence and Oberlin as a music performance major. My feeling is that Oberlin has a stronger reputation but Lawrence might be a better fit socially. My child is not into politics or social activism. She just wants to focus on becoming the best musician she can and she would like to find some like- minded friends. Does anyone know if the Con kids at Oberlin tend to be as left leaning as the rest of the college? Also, she plans to go to grad school so any thoughts as to whether one will give her an edge over the other? The Con kids at Oberlin tend to NOT be as left leaning as the rest of the Oberlin student body; my D has several more-politically or religiously-conservative friends at Oberlin If your daughter can go for a second visit, I think that would be ideal, but I know that isn't always possible. Oberlin students, on the whole, tend to be an intelligent, interesting, open minded and quirky/individualistic lot. There are religious groups on campus of all persuasions, if that is of interest, but I suspect the percentage of practicing religious Christians is smaller than at Lawrence! The Grad school question is an interesting one, and is probably somewhat instrument and teacher dependent. Is your D a Tuba player? Of so, I don't know about this but your D might want to ask both teachers about what kind of graduate programs recent students have been accepted to.. Definitely in some instrument groups (Voice, for example), I would say that Oberlin has a pretty terrific and hard to beat reputation. But Lawrence is a special place and much of this decision is so personal and about fit, I think! Feel free to PM me regarding any Oberlin Con specific questions. My D is a second year VP BM major in the Conservatory. Thanks for the feedback! I will have her check with the tuba profs about grad schools. I’m glad to hear that about the Con kids. I was worried that she would not fit in. It’s not that she’s necessarily conservative. She just isn’t really interested in that stuff either way. I would say so. She wants to play in a Symphony orchestra.